Online pharmacies are becoming more prevalent, and many Americans are using them because they can provide an easy, efficient, and private way to buy prescription and over-the-counter medications. While many online pharmacies are perfectly fine, there can be problems and dangers with some of them, and it is important to know whether you are buying from a legitimate business. Before you buy from an online pharmacy, be sure to find out whether it is a properly licensed. Several organizations, including the National Association of Boards of Pharmacy (NABP), The United States Food and Drug Administration (FDA), PharmacyChecker, and the Canadian International Pharmacy Association (CIPA) evaluate online drugstores for the quality of the services they provide. Each of these organizations has a directory which lists the pharmacies they have approved. There are a number of potential problems when it comes to online pharmacies, and while there are laws to protect you, there are also limitations to those laws, and dishonest businesses work to get around these rules. The (FDA), which regulates prescription drugs in the United States, has no ability to monitor the safety and efficacy of imported products. Since websites can pop up overnight and disappear as quickly, there is little that can be done if you receive counterfeit drugs or if you are the victim of a scam. They may sell counterfeit medications. They may sell you different medications than what you ordered. They may sell medication that is not approved. They may be selling medications without a doctor's prescription. They may not protect your personal information. It is perfectly legal to get your medications from an online pharmacy, but not all online pharmacies follow legal guidelines. There are a number of things that you should consider when searching for the right online pharmacy. Check with your health insurance: If your prescriptions are covered by your health insurance company, consider asking your health insurer for a list of approved online pharmacies, as payers vet pharmacies before accepting them as suppliers. If a pharmacy is not approved by your health insurer that does not imply that the pharmacy is not legitimate—it only means that your insurance company and the pharmacy do not have a business agreement with each other. Be sure that the pharmacy requires a doctors prescription: If an online pharmacy allows you to call in a prescription for yourself, this is a sign that it is not legitimate. If the pharmacy provides you with their own doctors to write your prescription for you, again this is not safe, and it is not legal. Watch out for unusual prices: If you are paying for your prescriptions yourself, you will want to save money. It is a good idea to shop around. But if you encounter a pharmacy with unrealistically low or high prices, be wary. Make sure the pharmacy has a physical address: If a pharmacy claims to be in the US or Canada, be sure that there is a street address in one of those countries, as a P.O. box address is a sign that the pharmacy is not located where the name implies. In addition to watching for red flags, there are important resources you can use to verify whether you are dealing with a legitimate and licensed pharmacy. You don't need to use all of these resources, as they overlap in their criteria and they often work together. Most of these organizations reject the majority of Internet pharmacies. The NABP is a professional association of the state boards of pharmacy, which are responsible for licensing pharmacists and pharmacies in the U.S. The NABP has two programs to help guide you. These include the Verified Internet Pharmacy Practice Sites (VIPPS) program and a process of verifying websites with the ".pharmacy" domain. 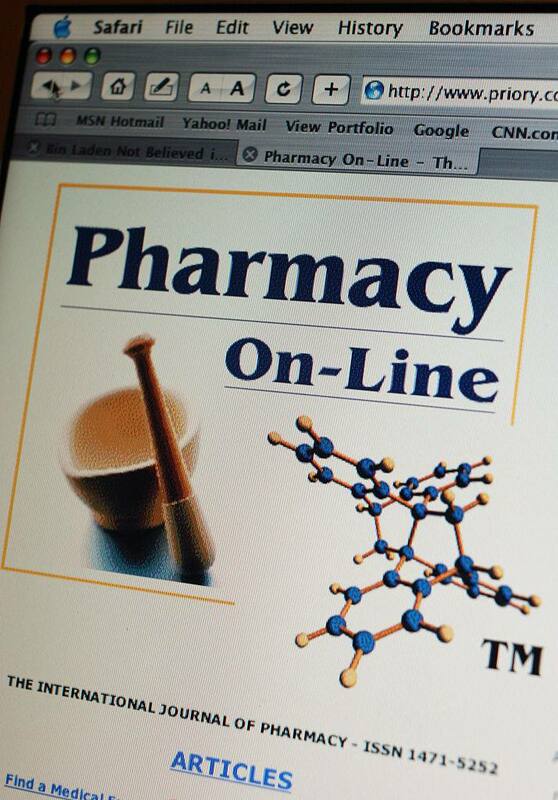 In 1999, the NABP developed the Verified Internet Pharmacy Practice Sites (VIPPS) program. The NABP screens the quality of services of online pharmacies in 17 areas, such as how they fill prescriptions, how they protect your confidential information, and how they communicate with you. You will see the VIPPS seal on the websites of certified companies and the NABP lists VIPPS accredited pharmacies on their website. Concern that the VIPPS logo is easily copied and used inappropriately further led to the .Pharmacy Verified Websites program. This builds assurance you are going to a legitimate site into the internet address, which will be a .pharmacy domain. The .Pharmacy program works with U.S. and non-U.S. pharmacies to ensure they operate according to the standards of their jurisdiction. NABP provides a downloadable file of all pharmacies that have been approved by either program. If an online pharmacy has a .pharmacy domain, or has the VIPPS seal, or is listed as an approved pharmacy on the NABP or FDA website, then it is accredited by these organizations. According to the NABP, 96 percent of the Internet drug companies they review are not in compliance with state or federal regulations. NABP provides a list of rogue sites that are "Not Recommended. The NABP works very closely with the FDA to determine which online pharmacies receive the VIPPS seal of approval. Due to this relationship and the fact that the NABP represents the 50 state boards that license pharmacies, only U.S. companies can receive the VIPPS seal. Non-U.S. pharmacies can enter the .Pharmacy program. The FDA provides a resource so that you can check to see whether a pharmacy is properly licensed. Sometimes Americans order medications from Canada because they may be cheaper. Many of these pharmacies are approved by CIPA. However, not all online pharmacies with the name "Canada" are actually Canadian. The Canadian government has provided warnings to consumers and CIPA provides a full list of verified online pharmacies so that you can check if a Canadian pharmacy is verified. There are increasing options for convenient ways to purchase your prescription and over-the-counter medications. If you want to buy your medications from an online pharmacy, be sure to know your source and make sure its safe.